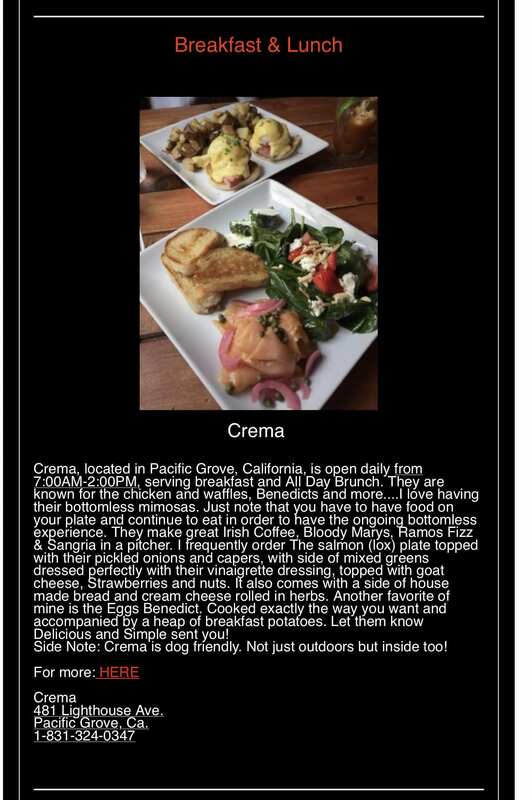 Crema Pacific Grove | Crema Featured in Delicious & Simple! Thank you Delicious & Simple for the feature! !